Providing you the best range of colloid mill, multi mill, comminuting mill, oscillating granulator, volumetric liquid filling machine and cap sealing machine with effective & timely delivery. Colloid Mill is suitable for Homogenising, Emulsifying, Dispersing, Mixing, Communiting of liquids to highly viscous products. It is based on rotor – stator principle. It is available in plain as well as Water Jacketed model which is suitable for heat sensitive products. 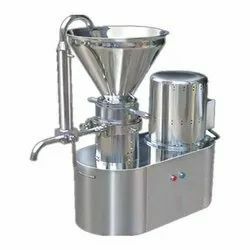 Communiting mill has been specifically designed for wet and dry granulation, pulverization or dispersion of products or ingredients found in the pharmaceutical, Chemical and food industries. It is also finds application in Cosmetics, confectionery, Fertilizers, Insecticides, detergents and Electro flux Industries etc. 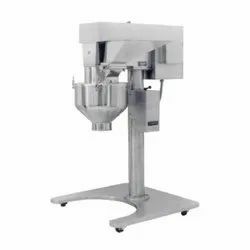 Oscillating Granulator, plays an important part in the process of granulation in tablet making as quality of tablet is determined by the virtue of the granules used for its compression. 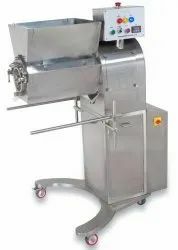 Oscillating granulator can be used for wet and dry aspect of the granulation process. Quality of granules are better compared to other processing machineries like multi mill, comminuting mill etc. Semi-Automatic Volumetric Liquid Filling Machine is precision built on sturdy welded steel frame completely enclose in stainless steel sheet and doors are provided to facilitate the servicing of machine. Working on volumetric principle. The unit is made compact, versatile and enclosed in stainless steel elegantly matt finish body. Cap Sealing Technology, to create alternative, airtight, hermetic seals on the necks of containers. The process can produce significant cost savings in the Packaging Process. The seal is strong, flexible & yet easy to remove and provides protection against contamination. Induction heating allows heat sensitive products such as creams, petroleum products, Herbal shampoos etc. which would normally gets spoiled or catch fire on normal heat sealing to be sealed. The sealing takes place without any direct contact which allows full potential of the filling plant to be utilized.